This article first appeared on NACLA.org on November 18, 2013. Reposted with Permission. Ecuador’s indigenous movement has a strong legacy of resistance in Latin America. After the national uprising of 1990, the indigenous movement directly entered electoral politics with the creation of the electoral party Pachakutik in 1996. 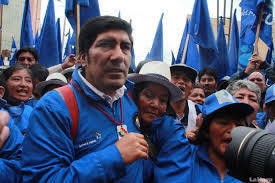 Ecuador’s indigenous movement is a milestone in the region, fueling an ethnopolitical climate of resistance across the Andes that resulted in the election of indigenous President Evo Morales in Bolivia in 2006. Today the movement resists extractivism on indigenous lands, pursuing its strategy of resistance despite systematic repression from the government. In a NACLA-CLACS co-sponsored event on October 31, Manuela Picq spoke with Carlos Pérez Guartambel, the current leader of Ecuarunari, (Ecuador Runacunapak Rikcharimui, Confederation of the Kichwa of Ecuador), the historically powerful indigenous organization in the Ecuadorian highlands. The event was translated by Antonia Carcelén. Hugo Chavez, Evo Morales, Fidel and Raul Castro – these charismatic leaders are not the first to capture the hearts and minds of Latin Americans. The legacy of left-wing populist leaders in Latin America has been studies by many scholars, such as Francisco Panizza, who spoke on the topic last fall at NYU. 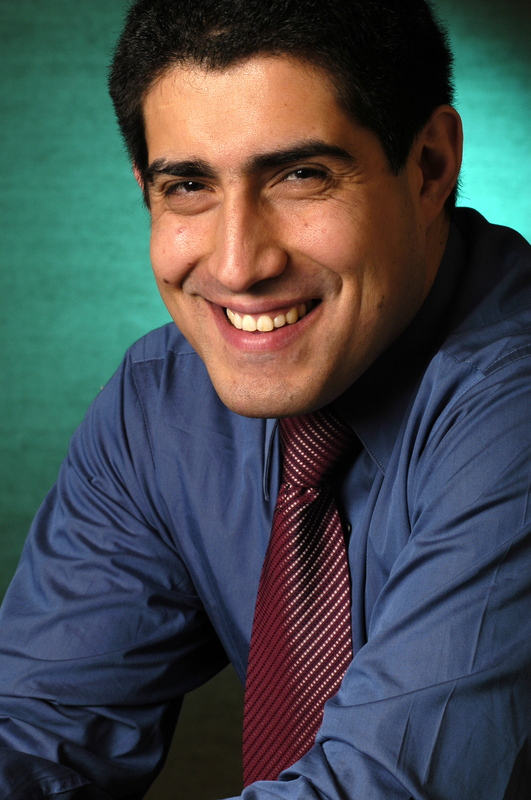 Some scholars, including former CLACS faculty member Rafael Sanchez, have argued that Latin America is uniquely prone to populist leadership. Patricio Navia, a CLACS affiliated faculty member, and political analyst and columnist, has something to add to the debate. In an interview with Daisy Banks of “The Browser,” he argues various points regarding Latin America – its unmet potential, the legacy of colonialism, political models, and economic history. As part of the interview, he suggests five books that, combined, provide compelling analyses of Latin American politics. Visit The Browser to read the full article. Read more about Abuela Grillo on ColorLines. 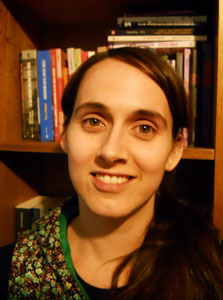 Memory, gender and Chilean social movements inspired Hillary Heiner’s research as a CLACS M.A. student in 2004. Through CLACS she was awarded a Tinker Field Research grant, which enabled her to do research in Chile. After completing her M.A., she decided to remain in Chile to pursue a PhD at the University of Chile. She is currently writing a doctoral thesis titled, ““Historizar la violencia puertas adentro. El caso de la Casa Yela y la violencia de género en Talca, 1964-2008” (Historicizing violence indoors. The case of the Casa Yela and gender violence in Talca, 1964-2008). Through her research at the University of Chile, she became involved in the Recent History and Memory Section (Historia Reciente y Memoria) of the Latin American Studies Association (LASA). This recently established section of LASA is a platform for scholars across disciplines and throughout the globe to collaborate, share research, and promote conferences and events related to the topic. Peter Winn of Tufts University and Claudio Barrientos of the Universidad Diego Portales in Chile co-chaired the group. 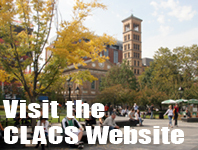 To learn more about the Recent History and Memory Section of LASA, visit the LASA website and select “Historia Reciente y Memoria” in the dropdown options to the left. 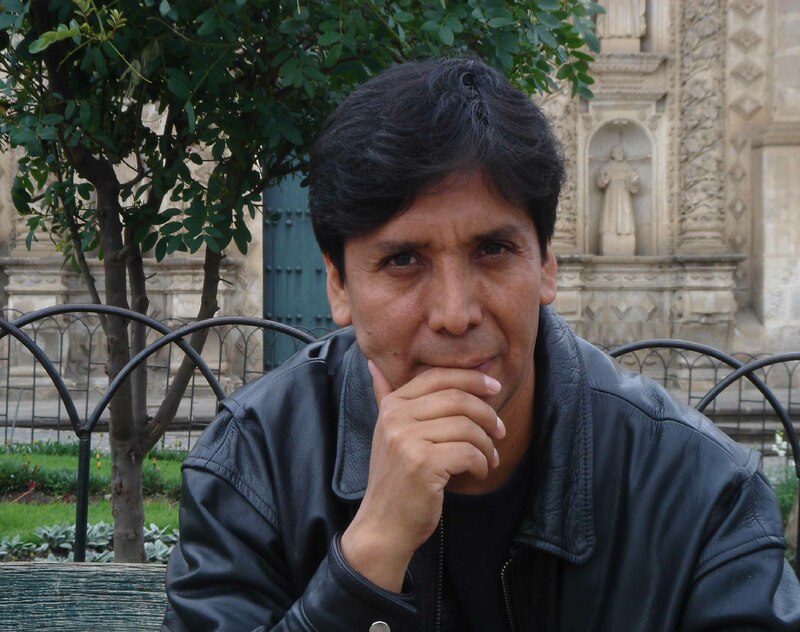 Odi Gonzales is professor of Quechua at New York University. Below is his trilingual blog post, in Quechua, Spanish and English, about Runa Simi. 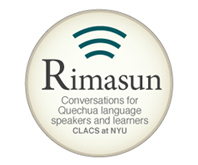 Runa Simi is the original term used by indigenous people in the Andes for the language now known as Quechua. Manaraq españolkuna chayamuqtinku, lluy tawantinsuyu llaqtapi runakuna rimaqku Runa simita. Kay simipi niranku “wakcha” nispa, mana mamayoq, manataytayoq, mana llaqtayoq runata. Chaymi karan wakcha kay; Mamapachapas, unupas manan huk runallaqchu karan, llapankuqmi karan. Ichaqa, chay sunkhasapukuna chayamuqtinku, pantachipunku RunaSimita. Chaymanta pacha kunankama “wakcha” nipunku mana qolqeyoq, mana kaqniyoqta, mana wasiyoq, mana allpayoqta. Manataqmi quechuachu sutinpas karan inkakunaq rimayninkuqa; Runa Simin karan. Ichaqa tayta cura Fray Domingo de Santo Tomasmi sutiyapun chhaynata. Pay yacharan rimayta Runa Simita allintapuni. Chaymi, ñawpaqpi, qhelqaran diccionariota RunaSimimanta. Chay pacha pay tiyaq Qheswapanpa llaqtapi, chayrayku diccionarionta qhelqayta tukuspa, pay t’iqrasqa español simiman:“kaymi kan Qheswa Simi diccionario” nispa. Manataq chay kuti llapan españolkunachu yacharanku españolta ñawinchayta nitaq rimayta Runa Simita chayqa, paykuna panta pantata yachasqaku tayta curaq rimayninta; chaymanta pacha Runa Simi kapun Quechua. Ichaqa kunankamapas lluy llaqtakunapi manan reqsinkuchu chay “Quechua” nisqata. Sichus qan tapunki huk Qosqo ayllumanta erqeta “Rimankichu Quechuata?” nispa, chayqa pay nisunki “Ñoqaqa rimanin Runa Simita, manan alqo simitachu” nispa. Last summer, Claire Payton—inspired by the post-earthquake chaos she saw unfolding in Haiti—bought an audio recorder, packed her bags, and booked a flight to Port-au-Prince. Despite having studied Haiti extensively, her motivation to travel to Haiti was purely personal. She wanted to help tell people’s stories. Soon after arriving in Port-au-Prince, she developed contacts and started doing interviews. Traveling to interviews was particularly challenging because of the traffic, which had worsened due to the buildings lying in the streets. When Claire arrived in Haiti, she spoke fluent French, but not Kreyol. After several interviews, and with help of translators, she developed a grasp on the language. Almost a year later, Claire launched the Haiti Memory Project, an “online archive of oral testimony about the January 12, 2010, earthquake and post-earthquake life.” She was motivated to create the website so that she could share people’s stories with a broad audience.